Ulnar nerve is most commonly compressed at the elbow(cuitbal tunnel syndrome). 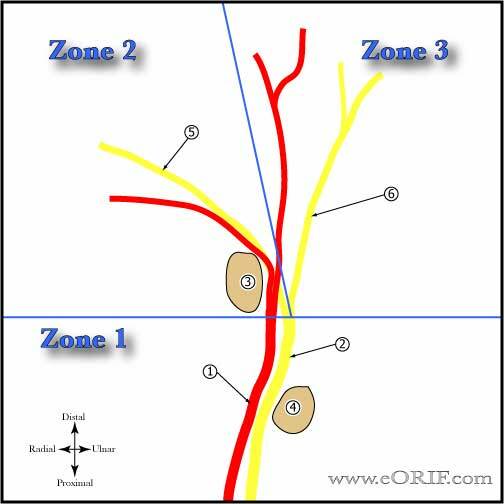 Distal nerve compression is uncommon. 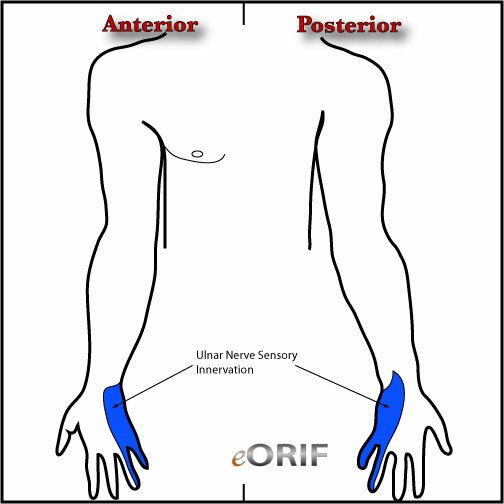 Dorsal sensory branch of ulnar N supplies sensation of dorsal ulnar wrist and branches off before wrist. Progressive unilateral hand weakness and numbness involving his ring and small fingers. Intrinsic weakness and atrophy, with normal strength of the flexor digitorum profundus and small flexor carpi ulnaris and abductor pollicis brevis muscles. Increased 2-point discrimination to the small finger and ulnar ring finger. Normal dorsal ulnar hand sensation indicates lesion is distal to cubital tunnel. Consider MRI of the wrist and hand to eval for ganglion within Guyon’s canal compressing the ulnar nerve.